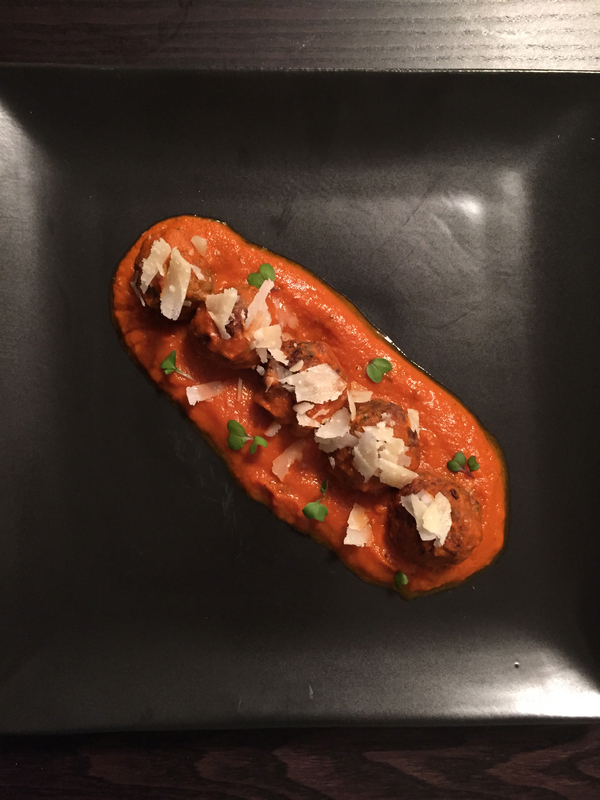 It doesn’t matter where you are from, every country and culture has their version of meatballs. Meatballs are easy to make, and a great way to get kids involved in cooking. Purists believe the perfect meatball must have a combination of beef and pork. Some use lamb, and I have eaten some mighty tasty chicken and turkey meatballs. The key is to add some type of starch and eggs to the mixture, so it will all stick together and not crumble. Breadcrumbs are a family favorite, and so is old bread soaked in milk. For these recipe I used Brown Rice Flour because I did not have any bread at hand. Mix all ingredients together with your hands. Make 1 tbsp size balls and pace them in a sheet pan lined with parchment paper. Bake at 375 F for 20 minutes. Remove the sheet pan from the oven, and remove the fat that accumulates around each meatball with a butter knife. Reduce the oven temperature to 350 F. Discard the parchment paper. In the same sheet pan, place a cookie baking rack and place the meatballs. Bake for another 10 minutes. After the tomato sauce is ready, place the meatballs in the sauce pan with the lid on and let the flavors meld for 15 minutes on low. In a medium heated pan, add the olive oil and butter. Add the onions and let them sweat until translucent, for about 7 minutes. Add the garlic, oregano, basil, red chili flakes, and carrots and let them cook for about 5 minutes. Add the red wine and let it cook until the alcohol evaporates. Add the tomato paste, demerara sugar(raw sugar), and season to taste with salt and pepper. Let it come to a boil, and turn the heat down to low. Place a lid in the pan, and let it simmer on low for about 2 hours. Remove the bay leaf. Using an emulsion blender, blend the sauce until it is smooth.